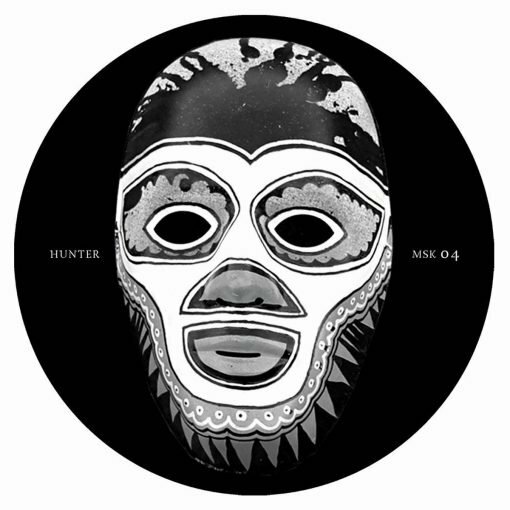 Enigmatic Berlin label MASK return in 2019 with a vinyl only release consisting of four eccentric cuts entitled ‘Hunter’. The mysterious German label maintains its reputation of providing quality, esoteric music by anonymous artists with a focus on analogue sound design and modulated oddities. ‘Hunter’ is the result of the first take of a live recording coming from a duo who have been playing together for over a decade. The A1 kicks off with lo-fi drum programming, emphatic leads and stabbing bass shoots before the A2 throws down sharp 303 bleeps, angelic pads and resonating kicks creating a euphoric ambience throughout. On the flip uplifting synth work, shuffling percussion and crunchy oscillations take the focus until chugged out experimentation becomes ever present in the final track as it harmoniously balances sweeping elements, growling tones and sonic obscurities. More items from " Mask "